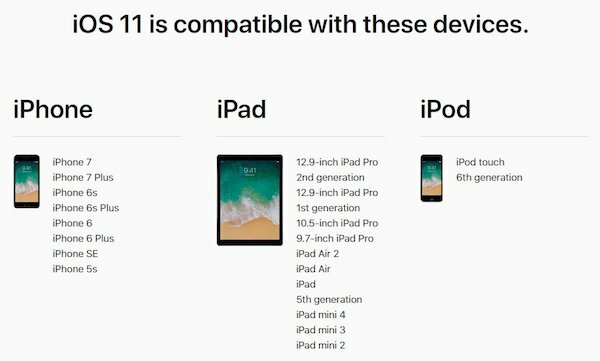 Here’s the iOS 11 compatibility chart to help you determine if your iPhone, iPad or iPod touch device will actually be capable of installing and running iOS 11 final version. First things first, since iOS 11 no longer supports 32-bit devices, what this means is that it will no longer work with the 4-inch iPhone 5 and iPhone 5c which were released back in 2012. App developers typically offer support for the current major version of iOS minus one, which means that up until now they have had to support all the way back to iPhone 5 and 5c thanks to iOS 10. With iOS 11 though, support for that hardware has now been removed by Apple. And as mentioned earlier, the main reason for that is that iOS 11 drops support for all 32-bit devices. What this also means is that 32-bit apps will no longer work on compatible devices on iOS 11 if they aren’t updated for 64-bit compatibility. The recently announced iPhone X, iPhone 8 and iPhone 8 Plus are of course also supported. As you can probably tell from the list given above, Apple may have taken the opportunity to remove support for 32-bit devices, but the list of compatible iOS 11 iPhone, iPad and iPod touch models is still quite extensive. If your iOS device is listed above, then congratulations, you get to enjoy everything that iOS 11 update has to offer. If not, well then it’s probably time for you to update to one of newer iPhones (iPhone X, iPhone 8 or 8 Plus) or iPads released by Apple this year. I have an iPhone 6 and a 2017 iPad. Can’t wait to check 11 out! my up ios11beta7yes or now? Man but my Iphone 5 is fine and works great! It said 5 is no longer supported by updates. Nor are 32-bit apps. 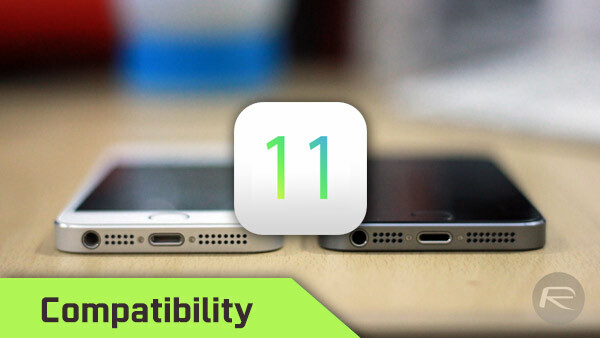 is the ios 11 compatible with iPhone 4?